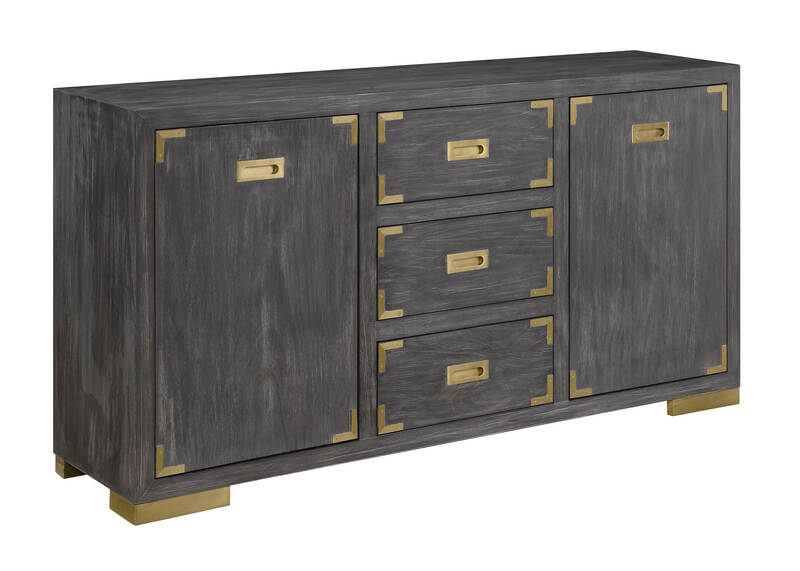 Finished in Estate Antique Grey with brushed golden hardware, feet and corner bracket accents, our Two Door Three Drawer Media Credenza has a stylish and tasteful appeal. Ideal for your entertainment area with a multitude of storage options plus a built in cord management system to keep wires safely out of view, but equally at home in your foyer, dining room or den. Max Tv Size : 62"